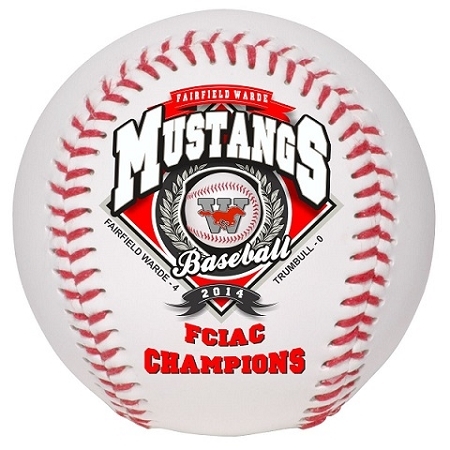 Official size and weight synthetic leather baseball hand stitched with the traditional colorfast red thread. 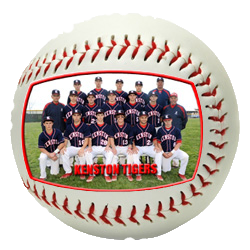 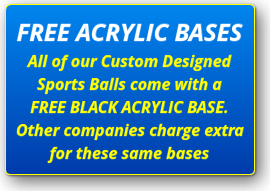 Our personalized baseballs are custom designed with your photos, logos and text by our award-winning graphic designers. 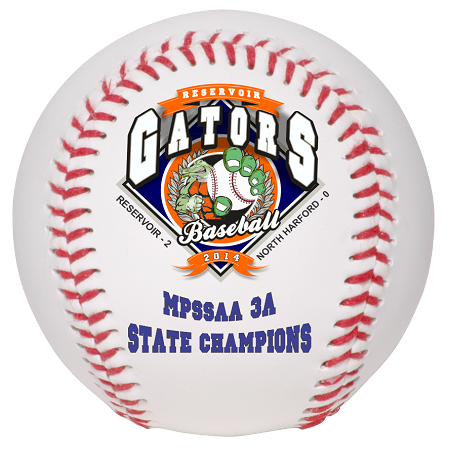 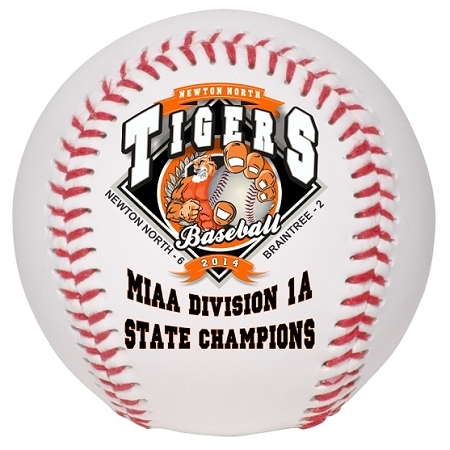 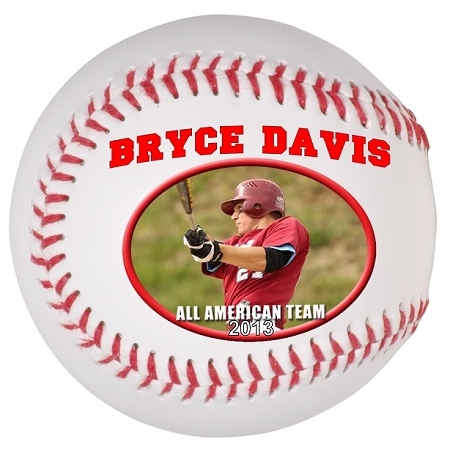 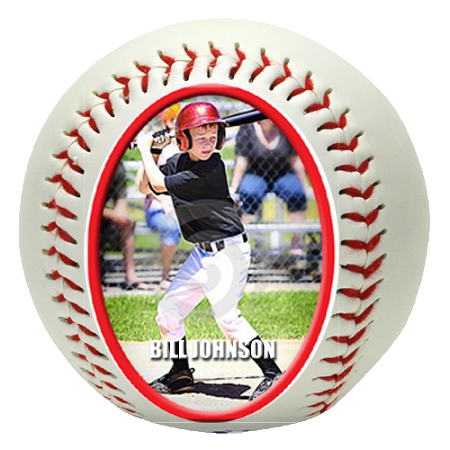 Imprinted in full color by our professional production staff to create a personalized baseball that commemorates your achievement or special occasion. 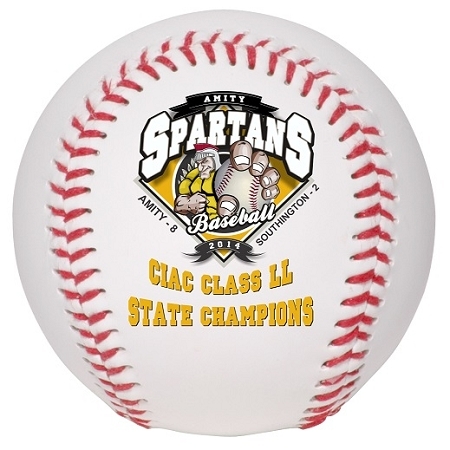 Great for special recognition, coach's awards and team championships, senior night awards, little league participation awards.